The rooms are big and clean. The staff was very friendly. The spa is great and they offer great massage (for extra pay). Lots of parking. 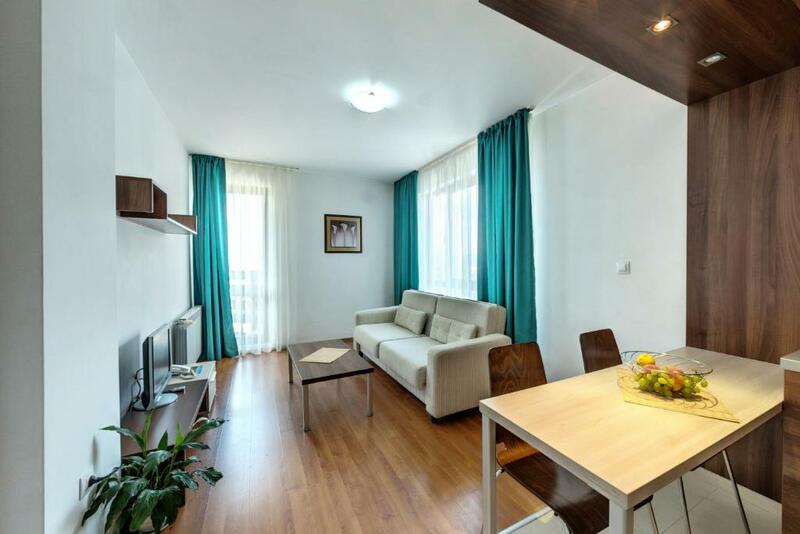 Spacious apartment with balcony, clean, warm and cozy. Good breakfast, very good spa center. Location is a few minutes walk from the gondola, but in a pre developed area. Was a bit above our expectations, after last year bad experience in a different 4*hotel. Good location, great value for money and really spacious apartment! Location: closed to gondola and centre. Room was cleaned daily with new towels as well. There is a small pool and a spa center. 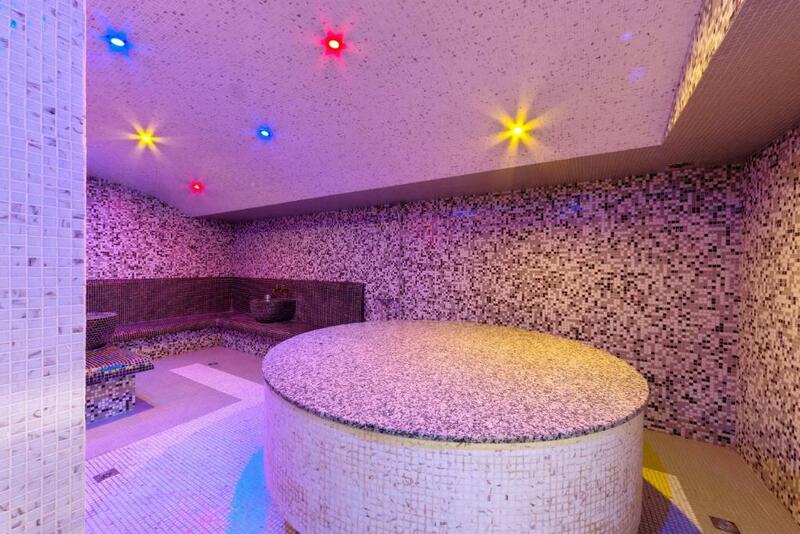 Spacious apartment, good breakfast, very good Spa. 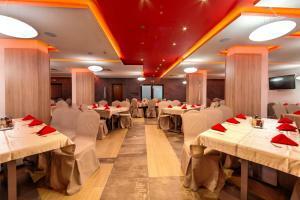 The location, ease of checking in and out, friendliness and responses of staff. The stay was not excellent but good enough for the price we paid. Some of the things we liked: - well situated: 5 minutes walk to gondola; - the apartment was large enough for 4 persons; - room cleaning was done everyday; - good spa facilities. Lock in a great price for Belvedere Holiday Club – rated 8 by recent guests! Belvedere Holiday Club This rating is a reflection of how the property compares to the industry standard when it comes to price, facilities and services available. It's based on a self-evaluation by the property. Use this rating to help choose your stay! 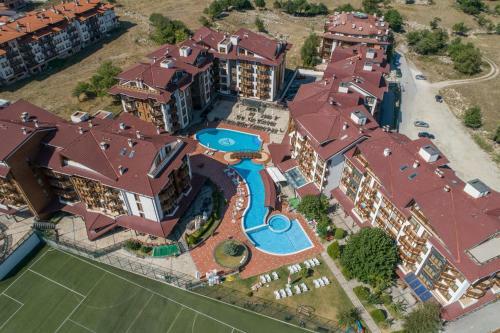 Located at the edge of the holiday resort of Bansko, Belvedere Holiday Club is only a few steps from the gondola ski elevator. It offers a rich breakfast buffet. An outdoor pool with a children section and a hot tub is available free of charge. An indoor children pool is provided as well. The sun terrace offers free umbrellas and sunbeds. Parking and internet access are provided free of charge. All Belvedere apartments provide a balcony with mountain views, a bathroom, a kitchen, a dining area and flat-screen cable TVs with a DVD Player. Sports facilities on site include an outdoor football playground and a small basketball playground, offered for free to guests of the Belvedere. A fitness center is available at no fee. 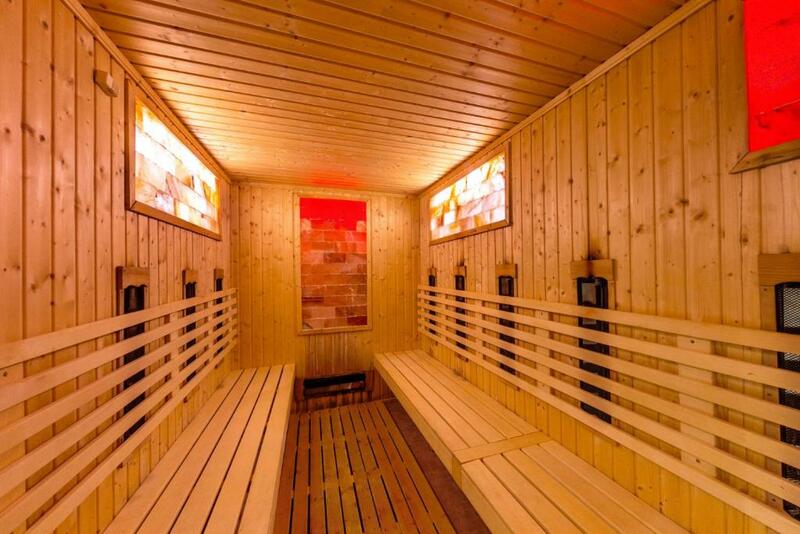 A Finish sauna, an infrared sauna, a steam bath and an indoor hot tub are available at a surcharge. 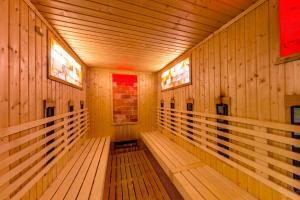 A solarium and massage services are offered at an additional fee. Belvedere Holiday Club consists of 3 buildings, surrounded by greenery and providing beautiful inner courtyards. It is set next to the new Shopping Mall of Bansko. During the winter season, free shuttle service to and from the Gondola Elevator is provided. 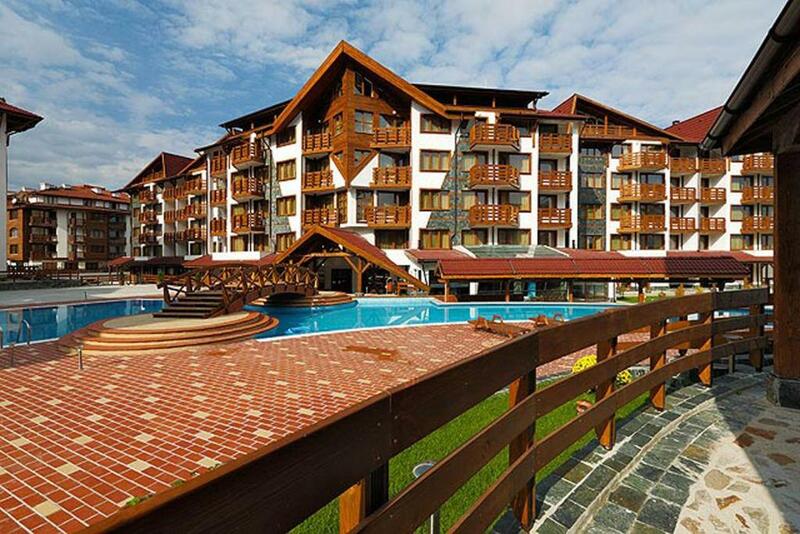 뀐 Located in the top-rated area in Bansko, this property has an excellent location score of 8.3! When would you like to stay at Belvedere Holiday Club? The apartments provide a balcony with mountain views, a bathroom, a kitchen, a dining area and flat-screen cable TVs with a DVD Player. This apartment features a balcony, DVD player and flat-screen TV. This apartment has a balcony, kitchenware and DVD player. This apartment has a balcony, microwave and DVD player. This apartment features a balcony, microwave and DVD player. House Rules Belvedere Holiday Club takes special requests – add in the next step! 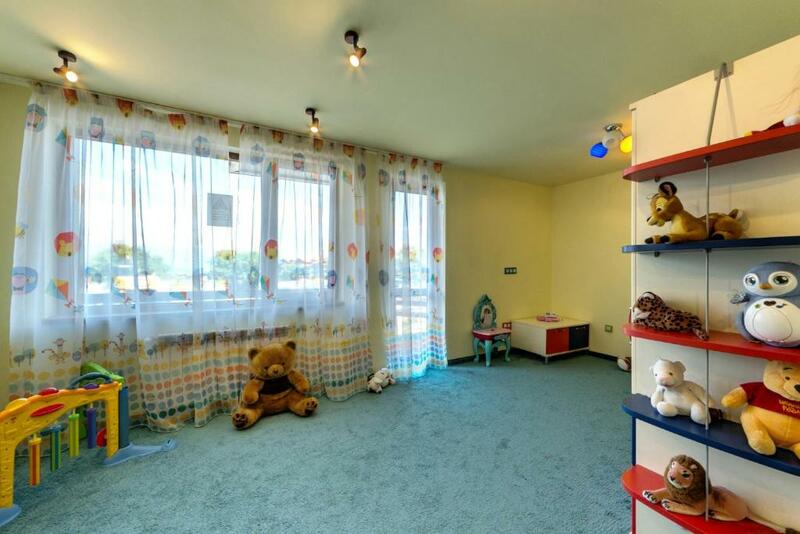 Up to two children from 6 to 12 year are charged BGN 19.56 per person per night for extra beds. Up to two older children or adults are charged BGN 29.34 per person per night for extra beds. Belvedere Holiday Club accepts these cards and reserves the right to temporarily hold an amount prior to arrival. A deposit via bank wire is required to secure your reservation when booking without a credit card. Belvedere Holiday Club will contact you with instructions after booking. Everything! But the location is the best! Not much variety at breakfast and hot food was a bit cold. The location is not walking distance from the Gondola, we had to wait for 35 minutes on the way back for the shuttle. There were two nights with no hot water! (the staff was nice about it but it took them a long time to fix it) Breakfast was very basic, there wasn't any good coffee. Single beds are very small. The room was very bad at least the one we stayed (G105). Both balcony doors (mechanism issue) did not close properly and the wind was entering freely in the room. Luckily that was warm enough to overcome this issue. The water at the shower fluctated significantly in terms of both temperature and pressure. It was very hard to have a simple shower. The room has tiny walls and door. Thus, we heard the noise from other rooms and corridor plus the chairs movement from other rooms. Fire detector was broken and there are items not properly functioning in the bathroom. The breakfast was basic without variation, as noticed in other hotels in the area. The pool was in the main building making hard to go there and return in the freezing cold outside. Also, we could not find a changing room for men, but only for women one floor below. The air temperature in the pool area was too low for my taste. It was cold. The radiators are too small! 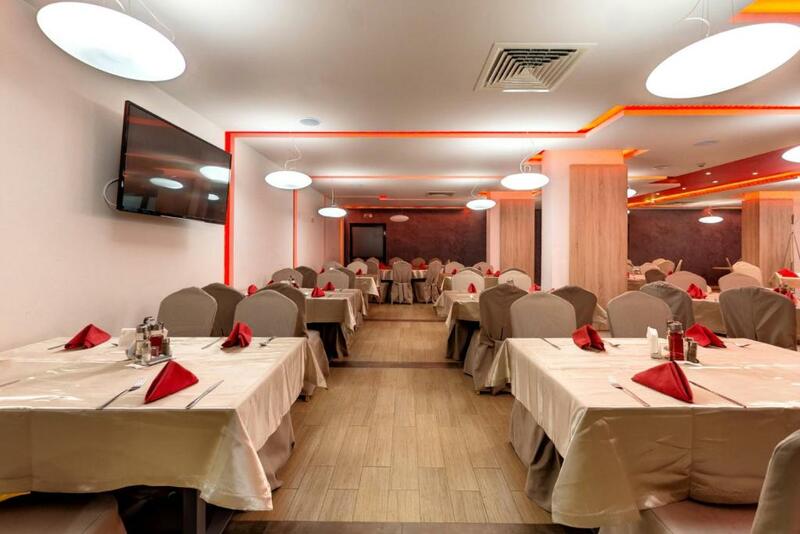 The restaurant is in another building. It is actually a 3-star hotel. The sofa bed was old and uncomfortable, possibly broken. - pretty cold in the apartment. We heard other guests complaining about this problem at the reception as well. Also the balcony door had some problems and you had to push really hard to close it in order to prevent the cold air from getting inside; - breakfast not that great.